Unlike marijuana, hempseed doesn't have any effect on your brain function. Hempseed oil contains high levels of essential fatty acids, making it a potentially healthy addition to your diet. Research on the effects of hempseed oil on cholesterol levels is still preliminary, and results are conflicting, so it isn't advisable to use hempseed oil in place of the cholesterol-lowering advice of your doctor. Hempseed may limit the absorption of dietary cholesterol, according to an animal study published in "Molecules and Cells" in April 2011. 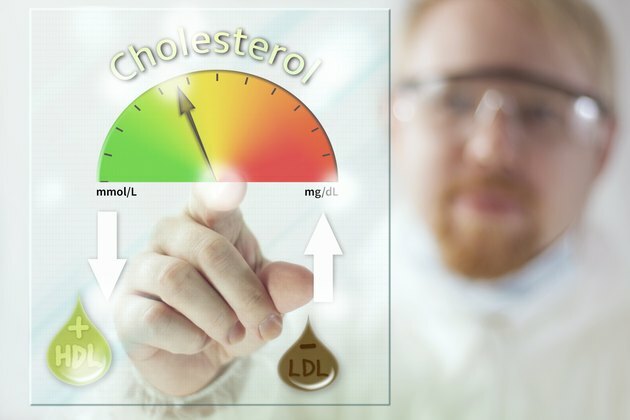 This could slightly lower overall cholesterol levels, although dietary fat tends to have more of an effect on blood cholesterol levels than dietary cholesterol. Further studies are needed to verify that this effect also occurs in people. A study published in the "European Journal of Nutrition" in December 2006 found that consuming 30 milliliters per day of hempseed oil for four weeks resulted in a lower ratio of total to high-density lipoprotein cholesterol even though it didn't alter total cholesterol levels. Lower ratios of total to HDL cholesterol may decrease your risk for heart disease. High cholesterol levels can sometimes increase platelet aggregation, making blood clots more likely. A diet containing hempseed oil may help mitigate this effect even if it doesn't lower cholesterol levels, according to an animal study published in the "Canadian Journal of Physiology and Pharmacology" in April 2008. This may be due to the gamma linolenic acid hempseed oil contains. GLA is an omega-6 polyunsaturated fat. Not all studies show a potential for beneficial effects on cholesterol due to the use of hempseed oil. For example, taking 2 grams of hempseed oil supplements per day for three months didn't have any effect on the cholesterol levels of participants in a study published in the "Journal of the American College of Nutrition" in February 2008. Further research is needed to verify whether hempseed oil affects cholesterol levels. What Are the Dangers of Pumpkin Seed Oil?